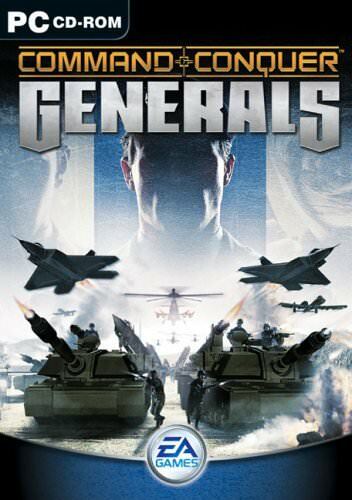 Found 4 file extension associations related to Command and Conquer: Generals and 2 file formats developed specifically for use with Command and Conquer: Generals. Command & Conquer Generals puts your trigger finger on the pulse of modern warfare. Prepare your forces, General? it's time to engage in the next generation of real-time strategy. Wage real-time war in more ways than ever with a modern and near-future arsenal. Command the powerful U.S. forces, the vast Chinese war machine, or the resourceful Global Liberation Army. Battle it out in unprecedented detail on full 3D environments. All-new units and tactics with maximum destructive capability, including Aurora Strike Bombers, Dragon Tanks, and much more. Team up with eight friends or go head-to-head in massive online** multiplayer battles. If you need more information please contact the developers of Command and Conquer: Generals (Electronic Arts, Inc.), or check out their product website.